CLAT 2017 Exam Results : Common Law Admission Test Entrance Examination for LLB & LLM is an all India entrance examination conducted to choose the suitable Students. The exam was conducted on 14th May, 2017 and earlier the results were supposed to be announced on May 29th. 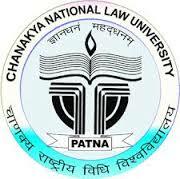 This exam is conducted by Chanakya National Law University, Patna. The main aim of the CLAT is to check the Students aptitude level for admissions into UG & PG Programmes, at the same time it involving visual perception BA LLB, B.Com LLB, B.Sc LLB and BBA LLB) into National Law Universities (NLUs). Every year authorities conducts this exam to choose the skillful candidates, the candidates selected based on their score, this year also the CLAT exams conducted in the successful manner and the results will be displayed soon at the official web portal for your reference. Yearly more number of candidates takes Common Law Admission Test Entrance Examination for LLB & LLM and they put efforts to get best scores because authorities give more priority to the merit list students. The cutoff mark is also differing based on some factor. All the details about the exam and cutoff marks is also provided for your reference, so you can gather complete details through the official website. After completion of the Common Law Admission Test Entrance Examination for UG & PG Programmers authorities are also publishes the answer keys officially for your reference. The solution key help to calculate approximate scores, with the help of the answer key most of the Students estimate their scores. Now the Students waiting for the official release of CLAT 2017 Results. Every Student instructed to check at http://www.clat.ac.in/. Students can get all the details by visiting this website. The authorities always update detailed information in this website. Results will be Published on 29th May 2017 for all the Students. In order to access the result for CLAT 2017, Students recommended following the provided instructions. The CLAT 2017 Score card also available for download, so you should download the score card after checking your result. It is highly important for your future reference. Students may note that, the CLAT 2017 score and score card is also valid for Every Student Who are Qualified for the Test. CLAT 2017 qualified applicants can download Score card after 29th May 2017.